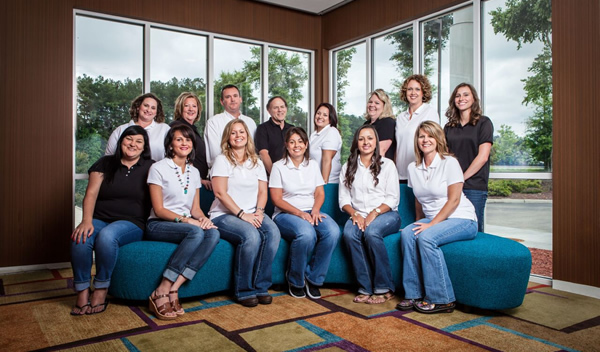 The office of Gane & Karshner Family Dentistry is a general dentistry office located in Lumberton, NC. Our practice is committed to providing our patients with the highest levels of comprehensive dentistry in order to help you and your family restore, enhance and maintain your dental health. Whatever your dental needs, let us show you how our passion for dentistry, comprehensive approach, and commitment to excellence can improve your overall dental experience. Whether you need preventative dental care, relief from tooth or jaw pain or a cosmetic smile makeover, our doctors and their knowledgeable team will provide you with exceptional dental care. We always welcome new patients to our practice. If you would like to schedule an appointment with us, please call our office at 910-738-2473.